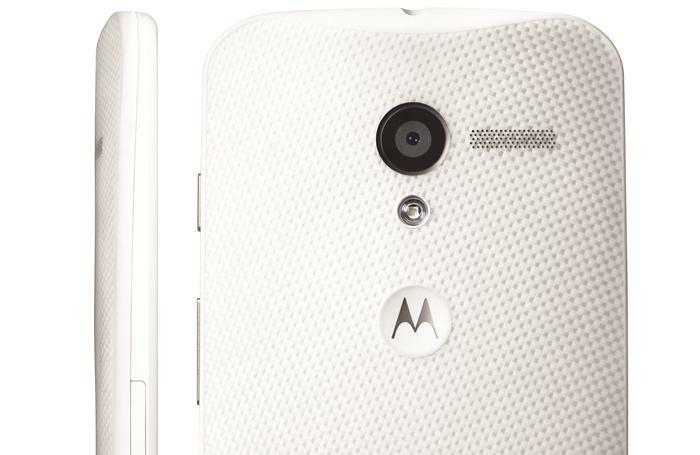 Australians will finally get the Motorola Moto X, but it will be enjoyed only in black and white. The Motorola Moto X was one of the last smartphones to be made under Google's guise, and it brought with it a range of industry-shaking innovations. These include its ability to leverage Google's Search and Now platforms, and the options – if you were in America – to order the smartphone with custom casing. The Motorola Moto X will ship with the latest version of Android in Australia, that is, Android 4.4 KitKat. Motorola barely tweaks the stock Android software used on its smartphones. This was largely the case with the Moto G we reviewed, which supplemented the stock Android OS with just a few additional applications. The Moto X goes one further by leveraging the predicative functions of Google's Now service. Many functions can be actioned without touching the smartphone at all, such as asking for directions, setting the alarm or finding out if you'll need an umbrella tomorrow. Doing this from an Apple, Samsung, Nexus or LG smartphone requires a button to be pressed. But the Moto X can perform these functions from standby when it hears "okay Google" as it features dedicated language and context processors. Rather than including a generic notification light, the Moto X displays missed and incoming notifications right on the standby screen. Frankly, we're not sure if this is that great of an addition. We'll have a lot more to say about the software tweak once we complete our review of the Moto X. The Motorola Moto X looks largely understated. The 4.7in AMOLED display has a 1280x720 resolution and a healthy 312 pixel-per-inch density. A curving back lends itself to good ergonomics and gives the smartphone a distinguishing design trait. Inside the Moto X makes do with Motorola's custom X8 mobile computing system, which features a software optimised 1.7GHz dual-core CPU, a quad-core Adreno 320 GPU, and the dedicated processors for language and context mentioned earlier. It also comes with 2GB of RAM and 16GB of internal storage. The lack of expandable memory is supplemented by 50GB of Google Drive cloud storage, which is made available at no cost over two years. The Moto X comes with a well-rounded suite of connectivity technologies, including dual-band Wi-Fi 802.11 a/b/g/n/ac, Wi-Fi direct, Bluetooth 4.0, and support for 4G LTE networks. Motorola claims the 2200 milliamp-hour battery can sustain charge for a whole day with 'mixed usage'. There are two cameras capable of recording Full HD (1080p) videos: one 10MP on the rear, and another 2MP found on its front. 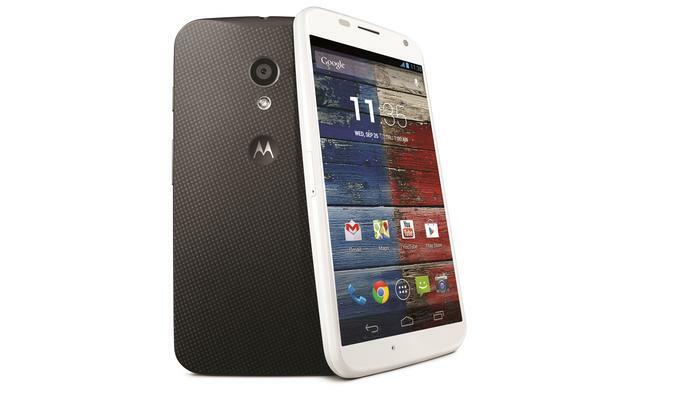 The Motorola Moto X will be available in black and white alone this month for $549. This makes it a worthy adversary to the widely revered Sony Xperia Z1 Compact, which is priced at $552 and can be purchased from Telstra.